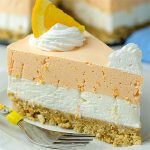 NO BAKE PINEAPPLE CHEESECAKE – is quick and easy dessert recipe for refreshing summer sweet treat! 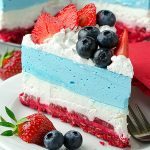 This delicious dessert takes a matter of minutes to prepare and all you need to do is let it chill in the fridge for a few hours before serving. 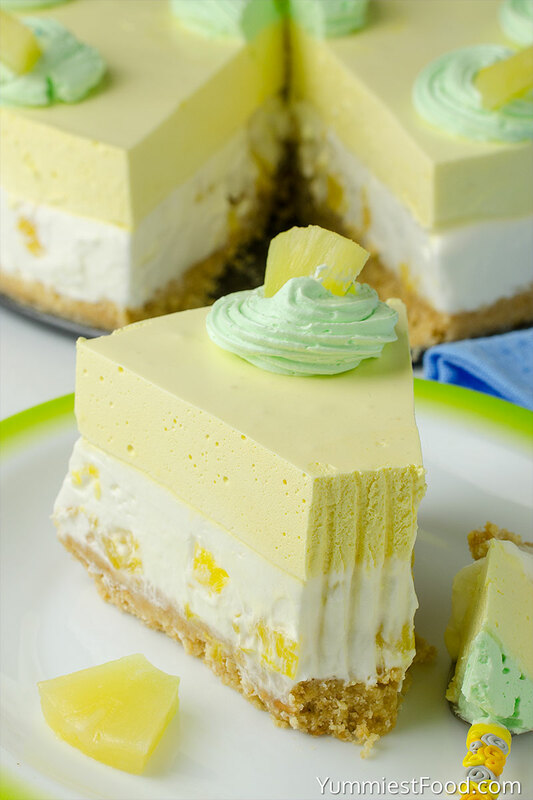 If you love creamy and easy recipes and no-bake cheesecake, then this pineapple cheesecake is one you will love. 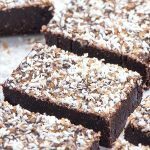 It’s usually my go-to recipe when I’m looking for a quick dessert to make. It’s no secret how much I love cheesecake. Everything about the flavor of cheesecake completes my soul with every bite. 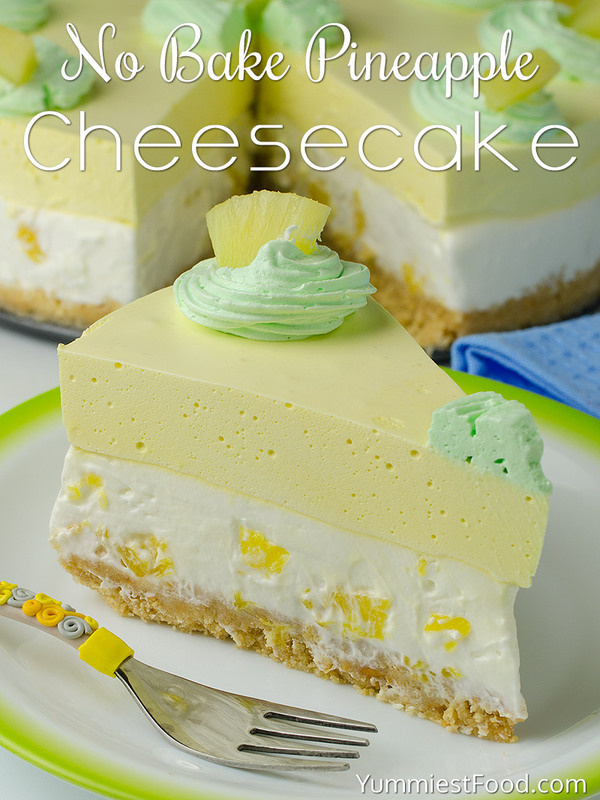 I’ve made this No Bake Pineapple Cheesecake so many times. 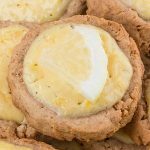 When you take a bite you get a burst of juicy pineapple along with the creamy cheesecake filling. When is time for summer parties I always know what to make, it is the end of the school and that’s the right and super reason to make something interesting, nice and quick. 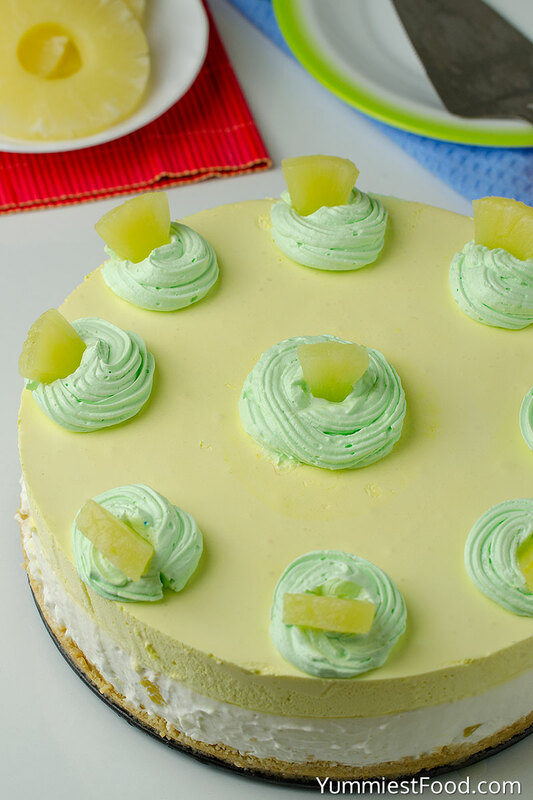 On the market, we can find out many kinds of different fruit so you only need to buy something you like the most and enjoy in freshness of this No Bake Pineapple Cheesecake. I am always satisfied with pineapple I really like them. They give freshness to every dessert. 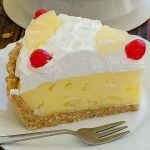 No Bake Pineapple Cheesecake taste like cool tropical sunshine, there are three layers of delicious starting with graham cracker crust, thick cream cheese filling and top with a pineapple whipped cream. Beautiful layer of pineapple on top, I use pineapple Jello to set the toppling and give it shine. I love simple and tasty desserts and these No bake Pineapple Cheesecake are definitely at the top of my list! I mean, who doesn’t love cheesecake? 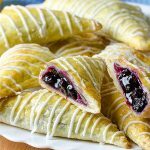 And especially are so easy to make! 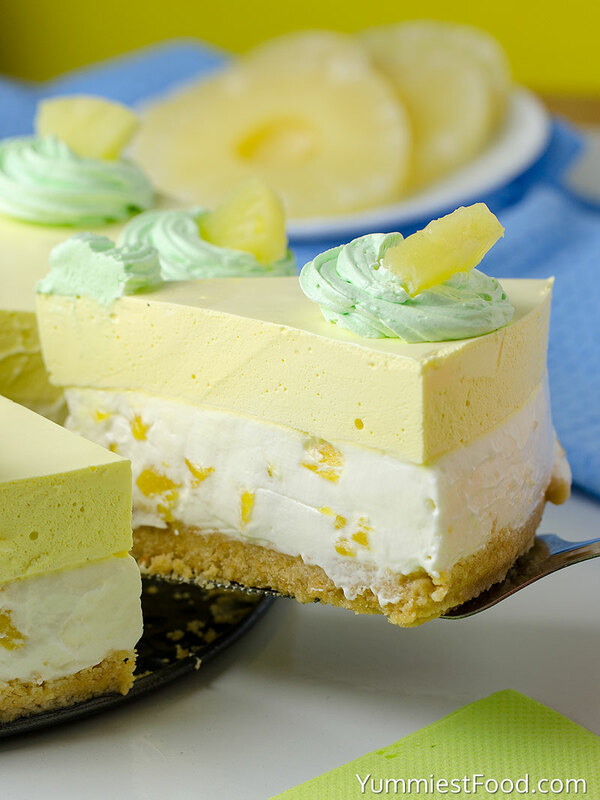 No Bake Pineapple Cheesecake gives you a sweet taste of pineapple in every bite. 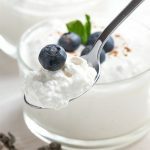 So delicious and perfect for summer! Enjoy! 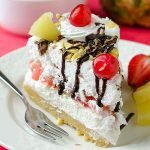 NO BAKE PINEAPPLE CHEESECAKE - is quick and easy dessert recipe for refreshing summer sweet treat!